This accommodation is absolutely stunning, its even more impressive in real life than the pictures. The pool is huge, garden grounds are huge and seriously beautiful. It was a shame that we didn't visit during the summer to really take advantage of it.. but we'll be back! Jaume was also really great, very helpful and friendly. Everything was smooth, we were really happy with everything. We had the pleasure of staying at Horta Pilar for one of my friends Birthday's and we could not have been happier. The villa is majestic, even better than the pictures, and it easily accommodated our large group of 20 people. The outside spaces (pool area, BBQ area & Gardens) are beautiful with some really clever and useful touches than made it perfect for entertaining. Jaume is an amazing host and not only gave us a full tour of the villa, including information about it's interesting history, and was always on had to help us with any questions about the local area and additional services that can be provided. 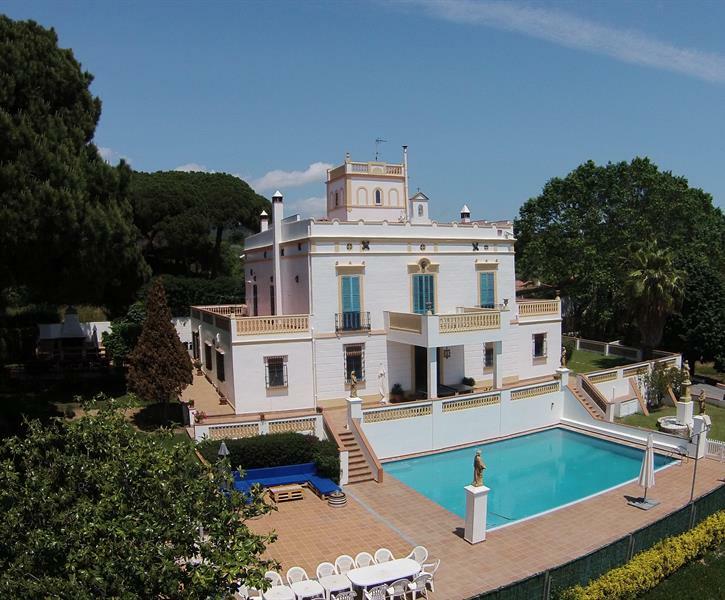 The location of the villa is fantastic, walking distance from a lovely beach and the charming village of Arenys de Mar. I very much hope to have the opportunity to stay at Horta Del Pilar again! My family and I (23 people in total, all ages) have just returned from a wonderful week at Horta del Pilar at Arenys de Mar. Everything was fabulous: the house was beautiful, the swimming pool large with lots of seating, the outside eating space shady and perfectly positioned, the beach a walk away... .Thanks so much too to Jaume, who looked after us brilliantly and provided us with lots of helpful info. We truly couldn’t ask for more!